You're the teacher! 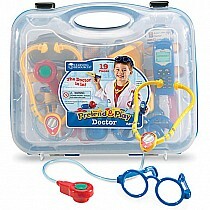 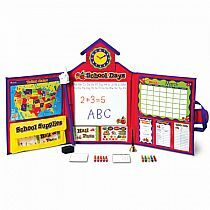 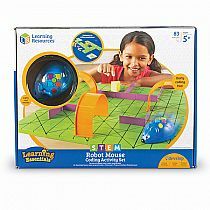 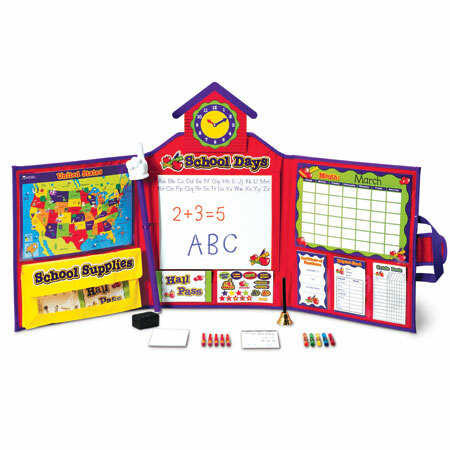 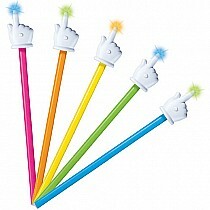 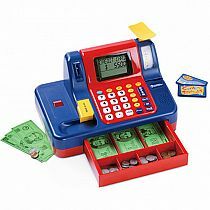 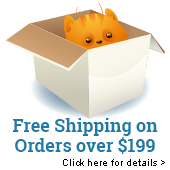 Pretend and Play School Set is the ultimate classroom, complete with hand pointer! 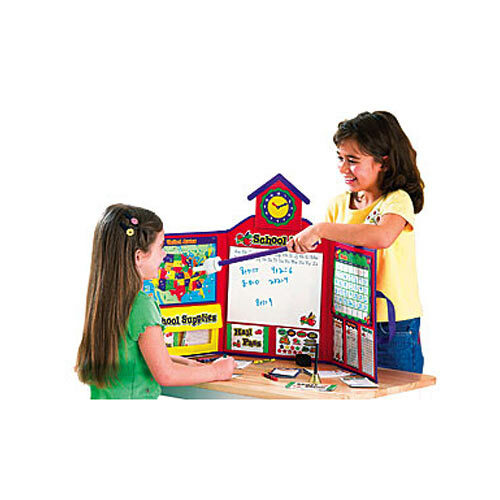 Tri-fold board with carry handle is the teacher's portfolio that pops up easily for lessons at home or on the go. It's fully equipped with grade book, stickers, hall passes, dry erase board, maps, calendars, crayons, clock – even a hand bell! 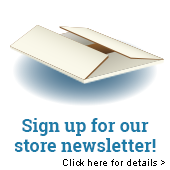 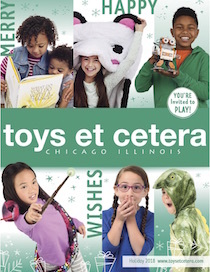 Catalog item #LER2642 for ages 3-8 yrs.